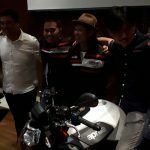 The new Aprilia Shiver 900 has arrived in Malaysia! It represents the first model introduced by Didi Resources Sdn. 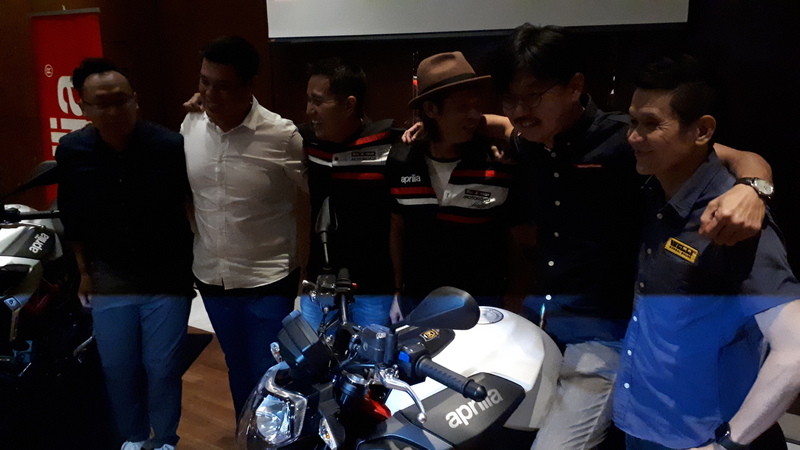 Bhd., following their acquisition of the import and distributorship rights in 2018. The Shiver 900 is most recent evolution of the original project of a motorcycle that, from its first appearance on the scene in 2007, marked a turning point as the first factory bike fitted with Ride-by-wire technology to manage engine throttle valve electronics. 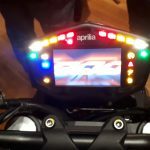 An Aprilia technological first derived directly from the racing world: In fact, Aprilia Cube was the first MotoGP bike to use this technology in 2002 and since then all of the other manufacturers have followed suit. 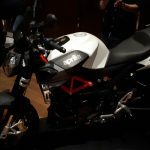 The beating heart of the Aprilia Shiver, the 900 V-twin engine, is capable of increasing not only the power, but more importantly, the maximum torque delivered at any rpm at top levels for its category. 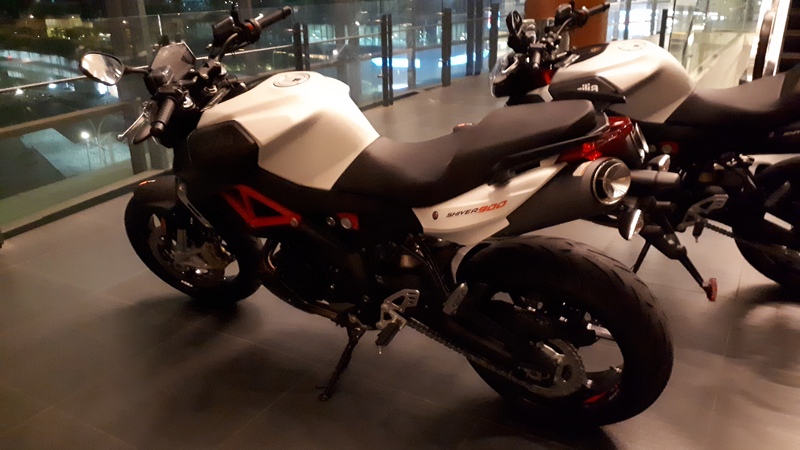 Power and character that translate into great riding satisfaction without sacrificing the ease and comfort that have always been characteristics of the Aprilia Shiver. 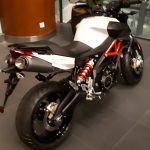 A bike that has made fledgling and expert riders alike fall in love, thanks to its chassis architecture that, in the best Aprilia tradition, draws on the know-how of a manufacturer that has won 54 world titles in its brief history and that currently has bikes in premier competitions like MotoGP and Superbike. 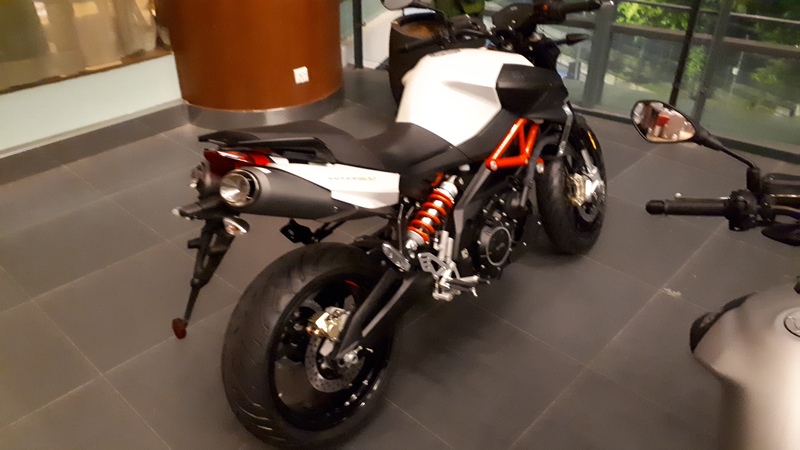 The easy to ride, powerful and technologically advanced Aprilia Shiver 900 is equipped with an advanced traction control system that increases safety while taking riding pleasure to maximum levels. From city riding to more flowing routes, from mountain passes to touring itineraries, even long range, Shiver 900 invites you to fasten your helmet and set off in search of the best sensations on two wheels. Speaking at the introduction, Mr Goh Kian Sin, Director, Didi Resources Sdn Bhd. 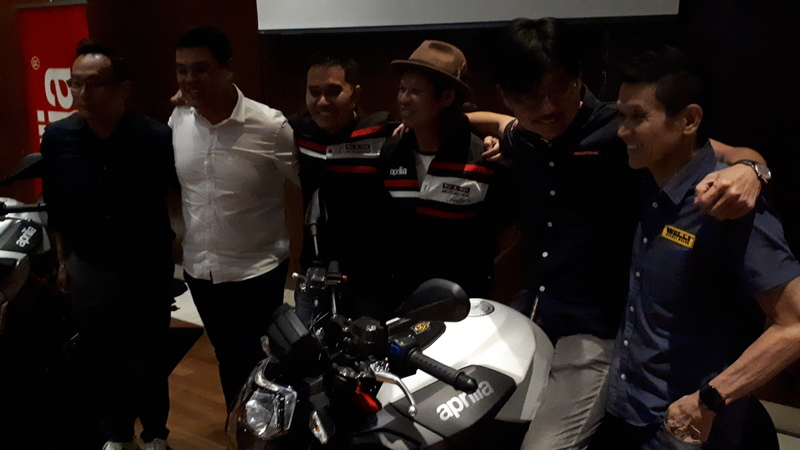 “The previous Shiver was positively received by Malaysians and we believe the latest incarnation in the form 900 would be well received and our commitment since taking over the distributorship is to deliver more value in terms of lifestyle activation, after sales and parts centres nationwide in order for us to retail more Aprilia bikes in Malaysia”. 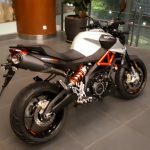 A non-conformist sport naked, Aprilia Shiver 900 emphasises a distinctive design: from the lateral air intake ducts that embrace the front end to the characteristic compact rear end with the exhaust pipes positioned under the saddle, the superstructure – fuel tank side covers, side panels, tail, front mudguard – form an original and non-conformist look. 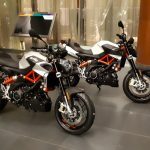 The twin cylinder from Noale also stands out for its aggressive features that highlight its distinctly sporty character: the frame, the shock absorber spring and the cylinder head covers are painted red. 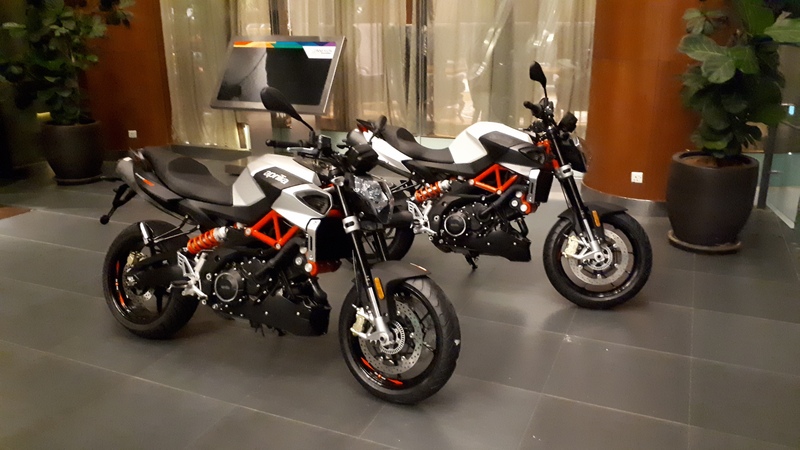 Adrenaline-charged details that blend with the three available colour schemes – Hi Tech Silver and the new Challenging Red and Innovation Dark -, creating an original contrast. 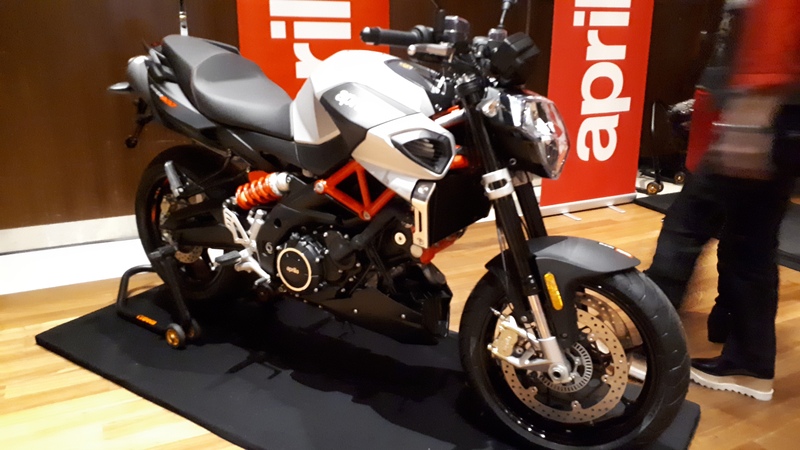 Another characterizing element of Aprilia Shiver is the exhaust: the position under the saddle contributes to an extremely clean side view of the bike, with the terminal part of the silencer short and aimed upward. A brand new exhaust bottom made up of concentric rings ends in a concave disc: a further bold stylistic element that makes the Shiver immediately recognizable even from the rear, as well as being a practical way to send the exhaust fumes downward, thereby avoiding interference with the passenger and ensuring greater comfort. Aprilia Shiver 900 is priced at RM 72,000 and can be viewed at The Gasket Alley, Petaling Jaya, Welly World Cycle Sg. Buloh and Sheng Fatt Sdn. Bhd, Penang. 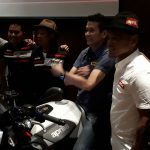 For more info, please visit http://aprilia.com/en_EN/ / and Facebook apriliaofficialmalaysia. 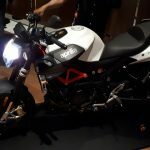 More info & tech specs after the photo gallery! 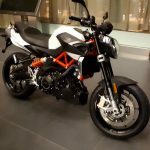 The engine, grown to 900 cc from the 750 cc of the first version, is characterised above all by its generous mid-range torque, all to the advantage of quick acceleration and exiting turns. 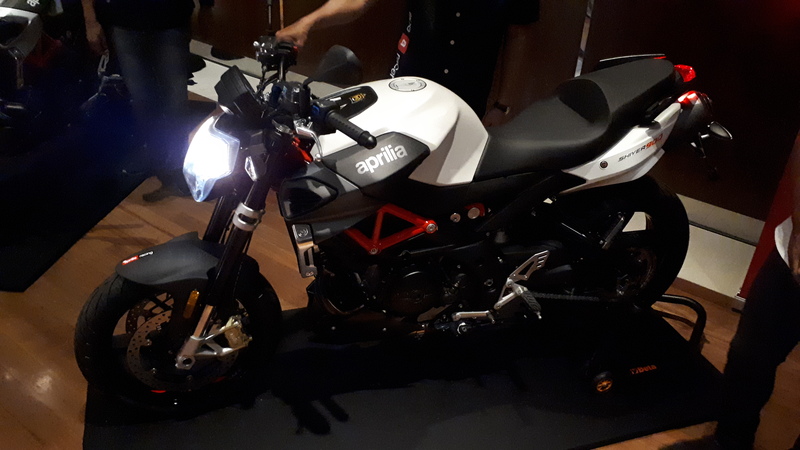 The 90 Nm of torque at 6,500 rpm guarantee pure fun in the saddle: this goal was a priority for the Aprilia engineers in designing the twin cylinder with more than 95 HP, also available in the version with power limited to 35 kW, that can be ridden with an A2 class driver’s license. 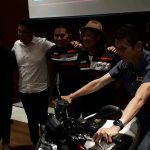 Aprilia Shiver 900 is therefore an easy bike to ride even for new bikers, accompanying them in their personal evolution of experience in the saddle. The powerplant, with a 90 degree angle between the two cylinders, four-valve timing per cylinder, dual overhead cam and liquid cooling, underwent various changes, including a significant operation aimed at reducing friction on the pistons characterised by a special anti-friction feature on the mantle, whereas the pins contribute to lightening the alternated parts in motion. On the other hand, an efficient semi-dry carter internal lubrication circuit helps to reduce losses of power due to shaking and to keep consumption and temperature of the lubricant to a limit, thereby eliminating the need for an oil radiator. High levels of efficiency have also been reached in terms of combustion, thanks to the implementation of injectors that allow better spraying of the air/fuel mixture, with benefits to consumption and emissions. 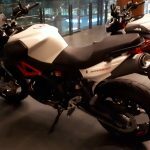 The Aprilia Shiver 900 engine is also fitted with an automatic decompresser which makes it easier to start in low temperature conditions. 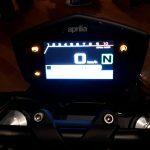 The unit fitted on the Aprilia Shiver 900 is controlled by the Marelli 7SM ECU: a substantial evolution that, on one hand, has allowed a refined traction control system to be introduced and that, on the other hand, has led to a significant simplification of the electrical system; in fact, the engine control and management systems, functions that were previously carried out by two separate electronic control units, are now integrated in a single hardware components, the same one fitted on the V4 models from Noale. 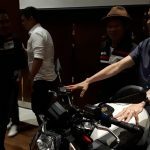 All of the clutch components have been redesigned in correspondence to the switch to the 900 cc engine capacity: The load on the clutch lever has decreased by 15%, whereas the primary drive reduction ratio has been changed to optimize exploitation of the available power. The Shiver 900 receives the full benefits of Aprilia’s extensive experience in electronic control systems and riding support for which the Aprilia RSV4 – the supersport bike that has won seven World SBK titles (three rider and four manufacturer) in its racing version and that is consistently at the top of its category in the street version – is an unrivalled example. 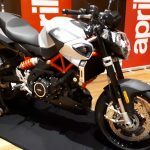 Out of this experience and from this Aprilia technological first, the Shiver 900 features an advanced traction control system that can be set to three different levels or disabled, designed to guarantee maximum safety, but also pure brilliant riding enjoyment thanks to the dual control that acts on both ignition and on the motorized throttle valves, making its intervention smooth and easy to manage. 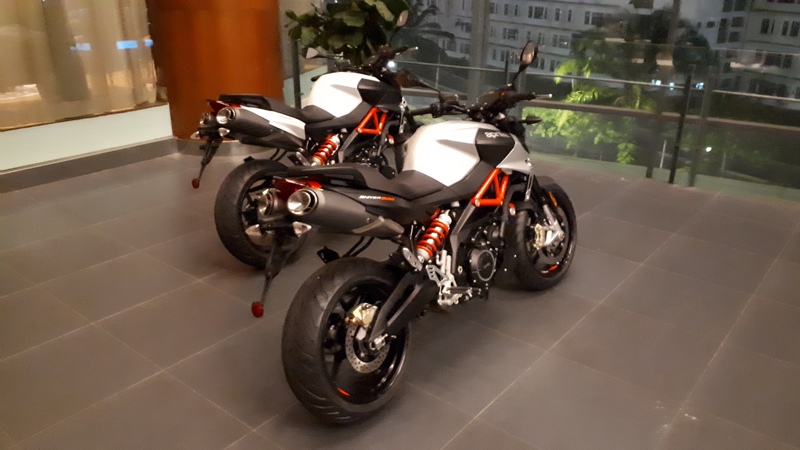 The Aprilia Traction Control system is combined with a Continental two-channel ABS system with developed calibration in order not to take anything away from the sporty ride. The ABS feature can also be disabled. 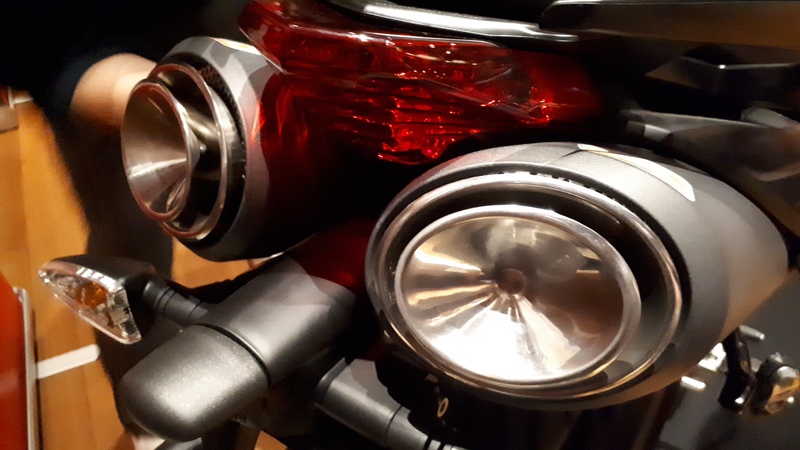 The full Ride-by-wire electronic throttle system, which made its début on a factory bike precisely on the first version of the Shiver, is now entirely integrated in the throttle grip, all to the benefit of light weight. 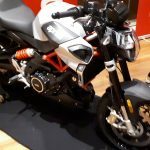 This system also allows even more accurate management of the fuel/air mixture and the injection throttle valve opening based on numerous parameters including engine speed, gearbox position, air flow, throttle grip opening (in quantity and speed) and temperature, with great benefits in terms of smooth riding without opening/closing jerks, containment of harmful emissions and fuel consumption. 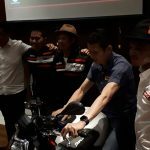 The sophisticated electronic management also provides the possibility of changing the engine mapping, radically changing the character of how the power it is capable of developing is unloaded onto the ground. 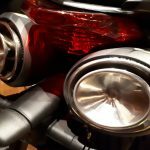 The Sport setting provides an immediate and aggressive throttle response; the Touring logic provides a smoother response, ideal for touring and daily use, whereas the Rain map reduces available power to about 70 HP and is therefore ideal in the event of difficult weather conditions or on slippery road surfaces. Mapping can also be changed at any time, even on the fly, by simply pressing the engine start button. The control instrumentation is made up of an ultra modern TFT technology display that ensures perfect legibility of the information provided. 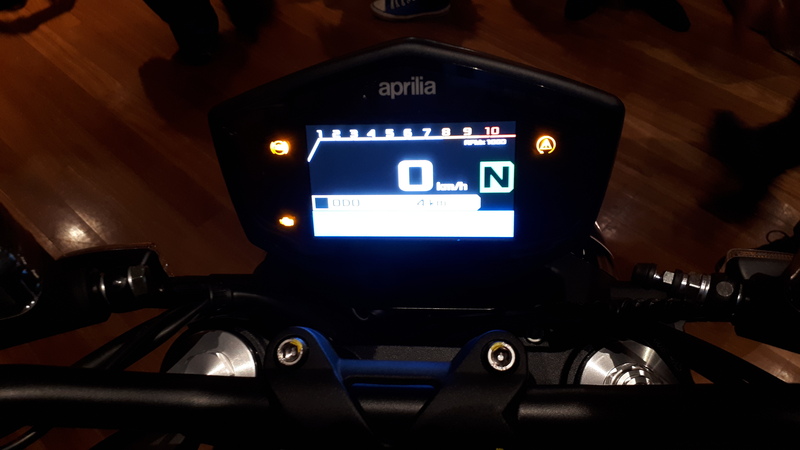 The large, 4.3” screen (the same one used on the Aprilia RSV4 and Aprilia Tuono 1100 V4) allows all the on board information to be clear and highly legible at all times, thanks in part to its capacity of adapting the background and font colours based on the conditions detected by the light sensor. The information displayed includes: rev counter, speedometer, selected gear indicator, coolant temperature, air temperature, selected engine map and clock. Using the practice MODE joystick on the new left hand electrical block, you can navigate through the menu and scroll/adjust the following parameters: odometer, traction control level, ABS ON (only when not in movement), MENU (only when not in movement), Trip A, Trip A time, Trip A maximum speed, Trip A average speed, Trip A average consumption, Trip B, Trip B time, Trip B maximum speed, Trip B average speed, Trip B average consumption, instantaneous consumption, Km ridden in reserve. 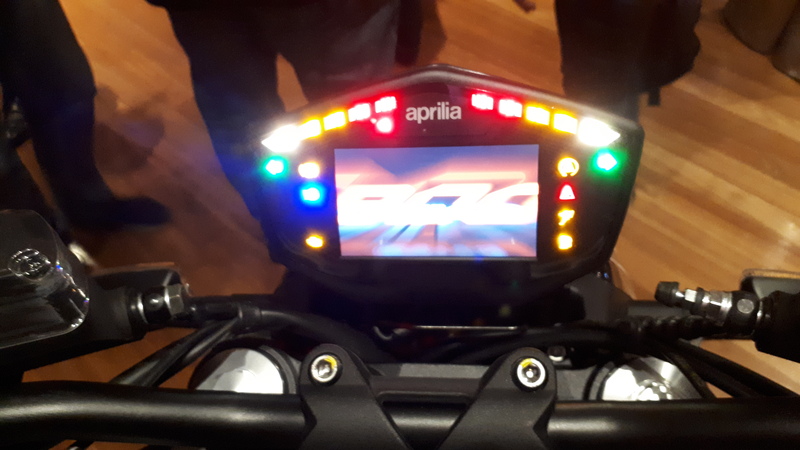 Aprilia Shiver 900 is also fitted from the factory with the APRILIA MIA system, which ensure connectivity with your smartphone to allow all call information to be displayed directly on the display, as well as intercom information and any music tracks that may be playing. By connecting to the smartphone using the dedicated App, the display also becomes a navigation tool, displaying the instructions for the selected route through pictograms. 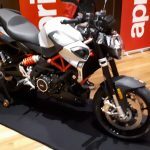 Last but not least, the App lets you share travel information, from the info on the sportiest riding style, to the info on touring, with indication on consumption, routes and speeds, grip conditions and Aprilia service centre locations. 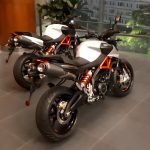 The performance provided by the powerplant is perfectly matched to an ultra-fine chassis architecture, easy to ride and intuitive, but at the same time incredibly high performance that, in the best Aprilia tradition, is simply unrivalled in the category. 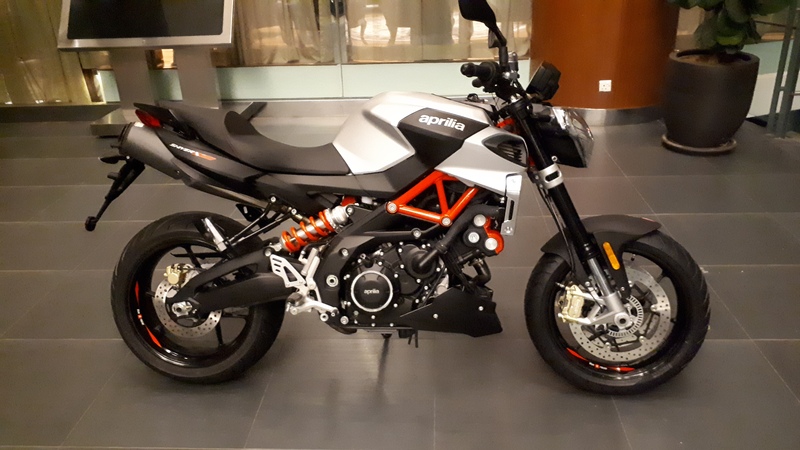 In fact, the mixed steel trellis/aluminium plates frame provides standard-setting stiffness, defines an extremely compact bike and ensures that it is capable of catering to fledgling riders with no problem, as well as enhancing the riding skills of more expert and discerning bikers. This makes flowing routes a favourite playground for the Shiver 900. 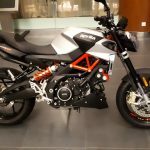 The structure of Shiver 900 draws from all the proverbial Aprilia chassis architecture know-how, as well as their experience on tracks all over the world. The trellis upper part in steel tubing is connected to wide spread aluminium lateral plates using special, high-resistance bolts. 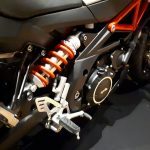 The combination formed by these elements forms an extremely stiff and lightweight frame, an rational and excellent solution for reining in all the horses of the Aprilia V90. 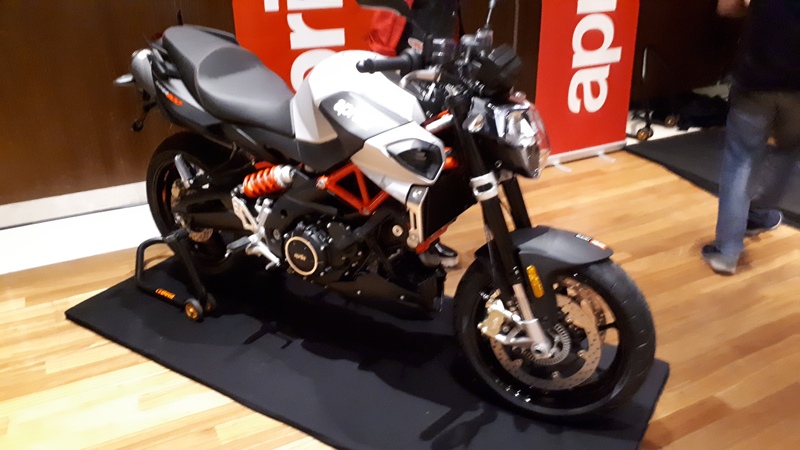 Aprilia Shiver 900 adopts a Kayaba fork with hydraulics adjustable in extension and spring preload and with 41 mm stanchions with chill cast feet to support the radial callipers. The 130 mm travel lets you smoothly tackle urban and mountain routes. The two steering yoke plates are made of forged aluminium. 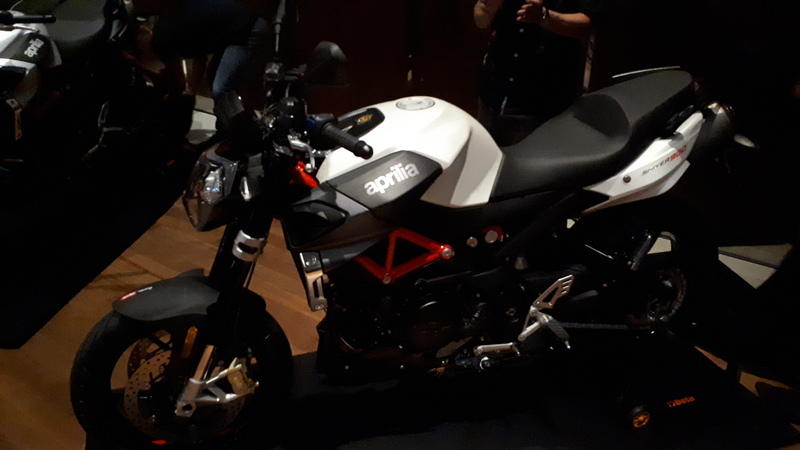 The sporty three-spoke wheels are taken from the Aprilia Tuono V4 equipment and contribute to keeping weight down. 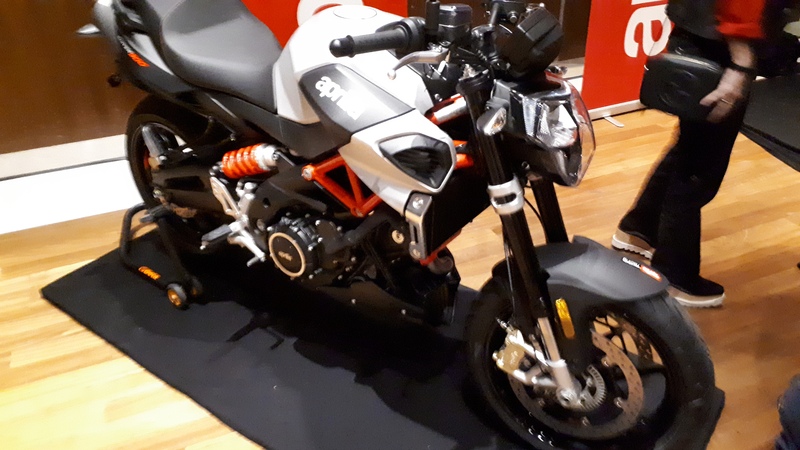 This leads to a drastic reduction of the gyroscopic effect and therefore greater agility for the bike, improved suspension functionality thanks to the reduction of unsprung masses and quicker acceleration. The rims are shod with a 120/70 tyre on the front and 180/55 on the rear. A wide range of accessories dedicated to sport and touring is available for the Shiver 900 as well. 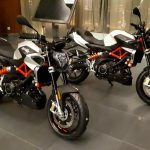 The former highlight the sport soul and the unmistakable Aprilia racing character: parts in precious carbon, billet aluminium components, such as brake and clutch fluid reservoir covers, brake and clutch levers and mirrors, as well as the must-have frame guard and fork bumpers. 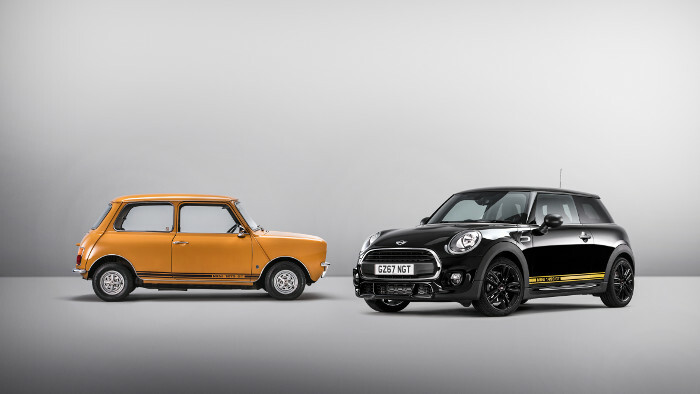 It also has LED turn signals with a highly characteristic design. 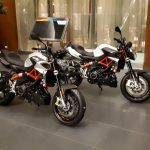 The tourism accessories contribute to increasing the comfort of the Shiver 900, such as the comfort saddle, the side panniers and the tank bag. Frame Modular tubular steel frame fastened to aluminium side plates by high strength bolts. Dismountable rear frame. Front suspension Upside-down fork, stanchionsÆ 41. Adjustable hydraulic rebound damping and spring preload. Wheel travel 130 mm. 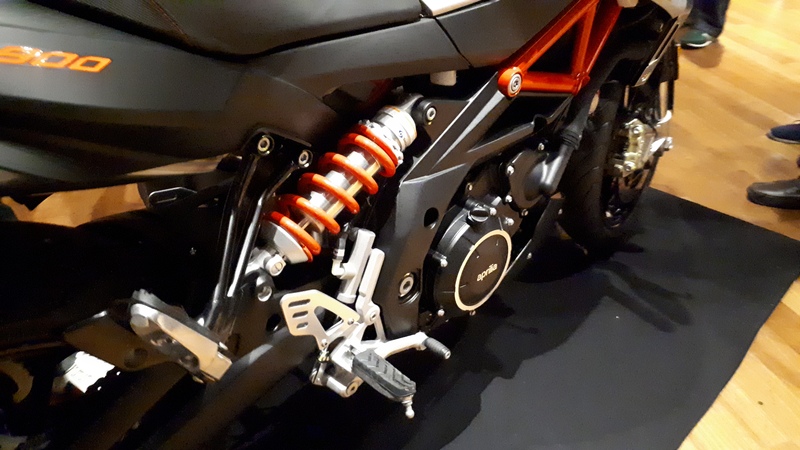 Rear suspension Aluminium alloy swingarm with stiffening truss. Front: Dual Æ320 mm stainless steel floating discs. Radial, four-piston callipers. Metal braided brake hose. Rear: Æ240 mm stainless steel disc. Single piston calliper. Metal braided brake hose. The 2019 Maserati Ghibli Arrives In Malaysia With Further Refinements, Prices Start At RM 618,800! 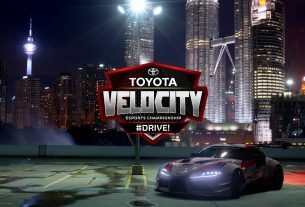 UMWT Malaysia Invites You To Take On Toyota ESports! 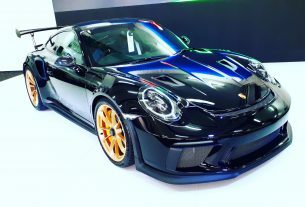 VIDEOS: SDAP Launches Porsche 911 GT3 RS @ Sepang – Customers Take Delivery & Do Immediate Hot-Laps!